People have been relaxing in the waters in Rothenburg since the 14th century. It all began with a health spa, created as the consequence of an earthquake. In a short space of time, the “Wildbad” complex had come into being. 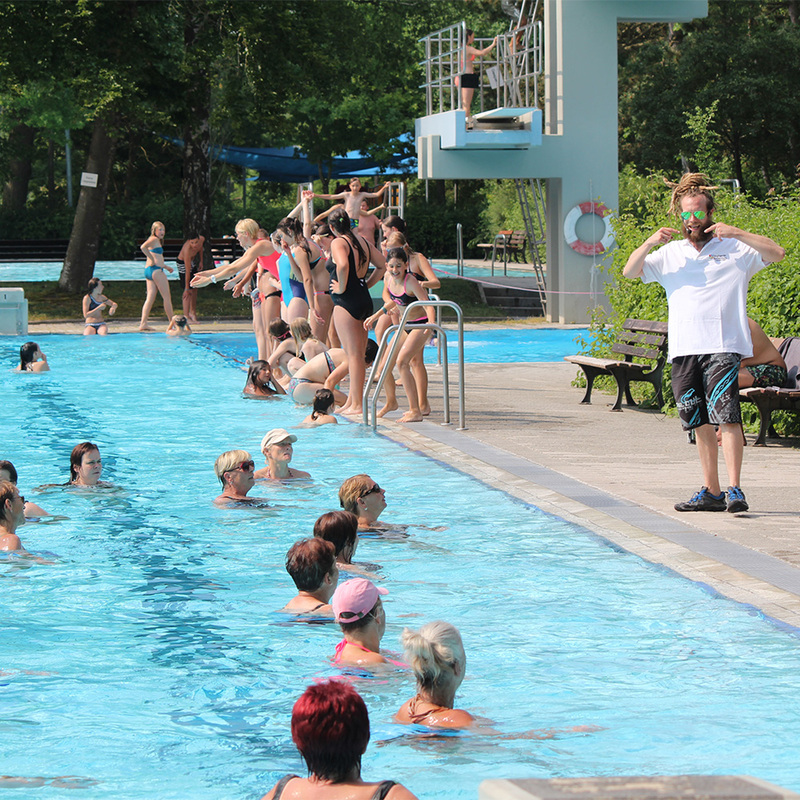 These days, the “RothenburgBad” modern water park is ready to welcome you with a total of 2,500 square meters of water-based facilities. Depending on the time of year, the town’s indoor pool or the outdoor forest pool will be open. Rothenburg’s attractive indoor swimming facility has several pools and can cater to your every need: serious swimmers can use the large pool, which is heated to 80 degrees Fahrenheit, while children are welcome to use the non-swimmers’ pool or infants’ pool, both of which are heated to 84 degrees Fahrenheit. When the sun shines you can sunbathe on the lawn, while the solarium or sauna will beckon when the weather is less clement. Mondays: 2.00 – 9.00 p.m.
Tuesdays, Wednesdays: 9.00 a.m. – 9.00 p.m.
Thursdays: Early swim 6.30 a.m. – 9.00 p.m.
Fridays: 9.00 a.m. – 6.00 p.m.
Wednesday: 6.30 a.m. – 8.00 p.m.
Thursday: 10.00 a.m. – 8.00 p.m.